The information presented on this page was originally released on March 24, 2005. It may not be outdated, but please search our site for more current information. If you plan to quote or reference this information in a publication, please check with the Extension specialist or author before proceeding. 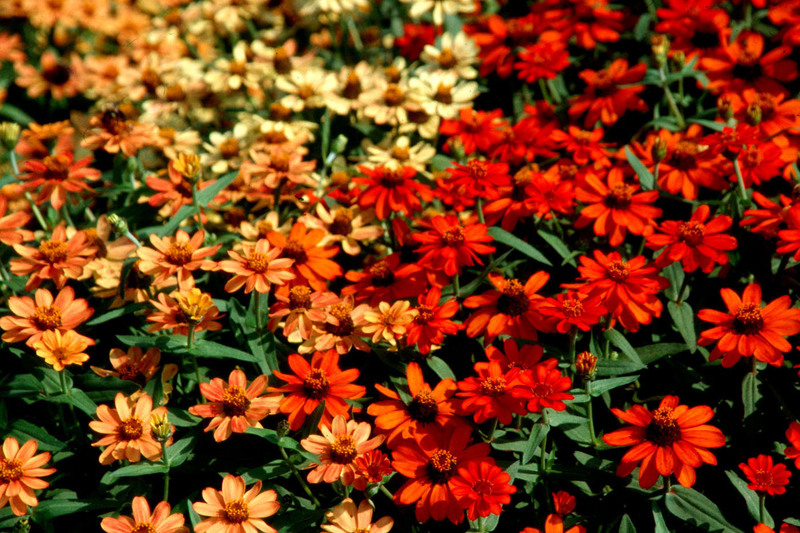 The best group of landscape zinnias, the Profusion series, just got better thanks to two new varieties: Fire and Apricot. The Profusion series put zinnias back in the mainstream garden of America. The Cherry, Orange and White each earned the All-America Selections Gold Medal award. The Profusion series is disease-resistant and blooms from spring until frost. The Fire and Apricot varieties look to have the same superior performance. If you thought the old Profusion Orange was hot, the Profusion Fire will blow you away with its scarlet and orange. The Apricot is light coral with a rich terracotta center. The plants form dense, compact mounds and are drought-tolerant. The flowers are only 2 inches wide, but they stand out like beacons when you have 50 of them on a plant. Select a site in full sun with fertile, well-drained soil because they cannot survive wet feet. Prepare the planting area by tilling in 3 to 4 inches of organic matter along with a slow-release, 12-6-6 fertilizer. Incorporate 2 pounds of the fertilizer per 100 square feet of planting area. Plant nursery-grown transplants at the same depth they are growing in the container, spacing 10 to 12 inches apart. Apply a layer of mulch after planting. Feed with a light application of fertilizer one month after transplanting and every four to six weeks through the growing season. If the shape of the mound becomes less than desirable, prune lightly to generate more growth and blooming for the fall garden. The Profusion series is also outstanding as a mid-summer or fall planted crop and absolutely loves September and October. The Profusion zinnias are 15-by-15 inches and perfect for the front of the border. Profusion Orange and Fire are outstanding with Victoria Blue salvia, Indigo Spires and Dark Knight caryopteris. 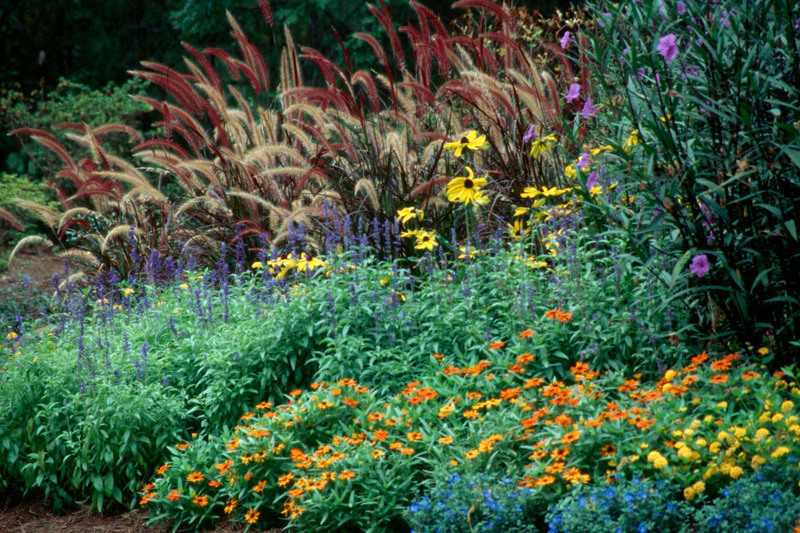 Profusion Apricot is incredible with coleus like Tilt-a-Whirl and ornamental grasses like Purple Fountain. Profusion White and Cherry excel with purple- to burgundy-leafed plants such as Purple Heart, Mississippi Summer sun coleus and Purple knight alternanthera. While on the subject of zinnias, don't forget about the new Magellan series this spring. The Magellan Coral is an All-America Selections winner this spring, and based on the trials at the Truck Crops Experiment Station in Crystal Springs, I can tell you all of the colors look like award winners. The Magellan zinnias produce enormous, dahlia-like flowers on short, stocky plants reaching 18 inches tall so that they need no staking and will not fall over. 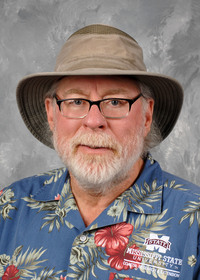 Leaf spotting disease was minimal, making the Magellan series an environmentally friendly performer in the Southern landscape. The Magellan zinnias offer colorful, dahlia-like blossoms that look good grown as a mixture or in single colors. Than can be planted in any style garden, from the tropical to the cottage. Feeding will be an important part of your success with the Magellan zinnias, as it is with the Profusion series. Feed with light monthly applications of a slow-release fertilizer like a 12-6-6. Another key step is to keep your flowers deadheaded, which not only gives a tidy look but also keeps those blossoms coming. Magellan zinnias will produce these flowers right until freezing weather arrives. Look for both the Profusion and the Magellan series at your local garden center this spring.